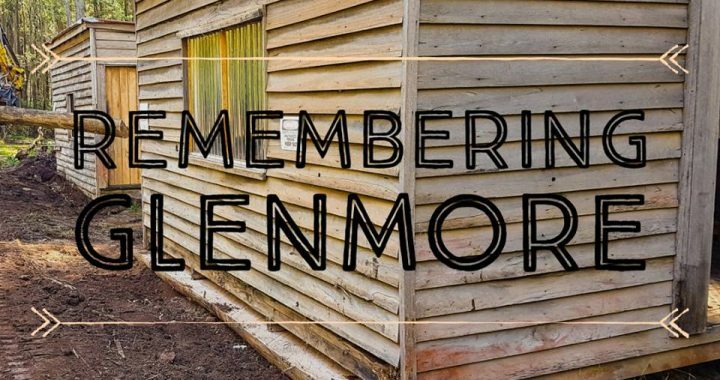 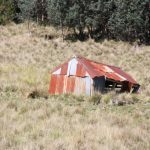 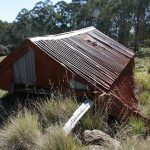 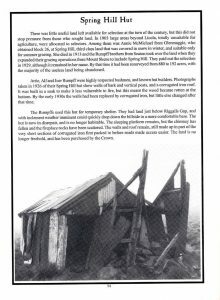 With thanks to some local knowledge, Andy and I were given directions to the last standing Rumpffs hut “SPRING HILL HUT” at Spring Hill close to where the north and south roads diverge between Licola and Mt Skene. 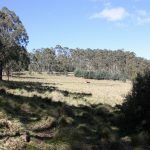 Turning up south Rd toward Mt Useful and then left into S1 track, travel about a mile till you see some cattleyards on your left and then walk out onto the open saddle hidden behind the bush to find the hut. 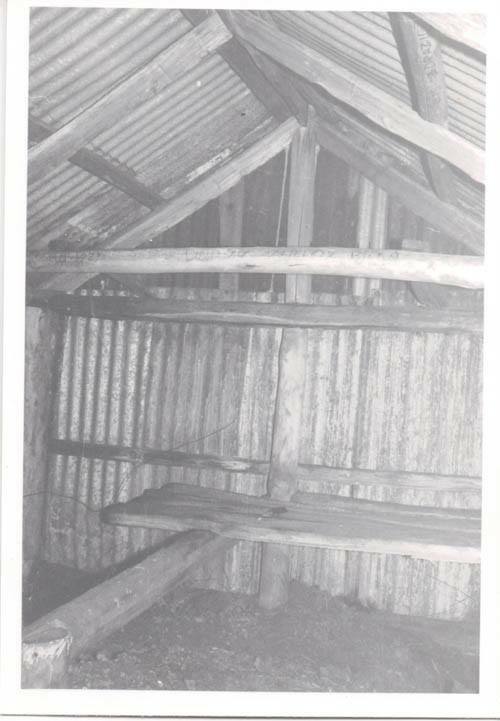 There is also supposed to be a 1940s dugout here but I didn’t find it this time. 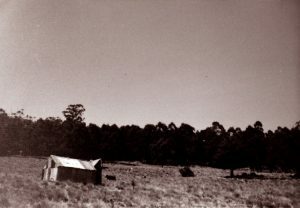 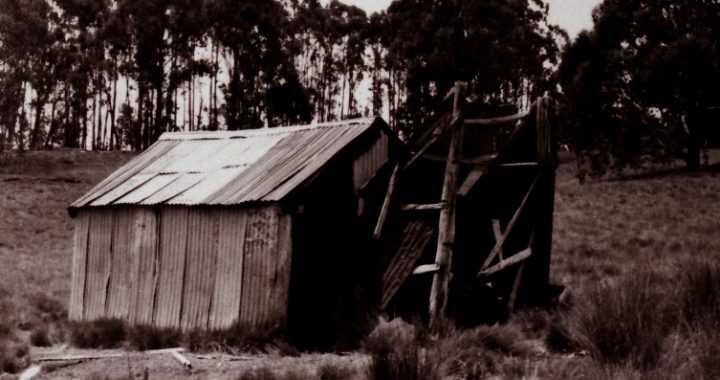 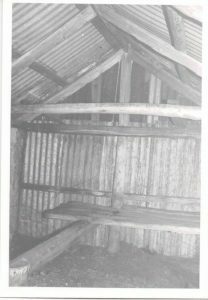 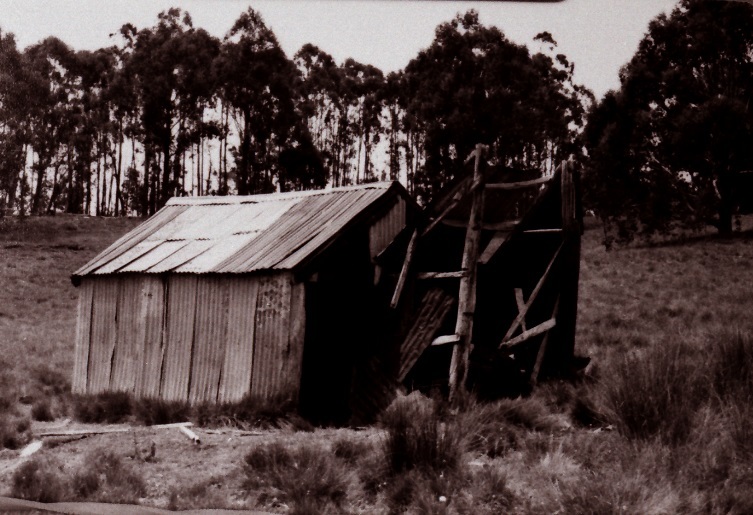 The hut although still standing (only just) is believed to have been built in the early 1900s, the earliest photo of this hut that has been found so far is from 1926 as a bark hut, it was after this that it was clad in iron still using the same frame. 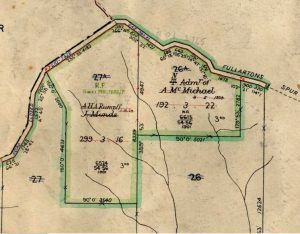 This is now all public land. 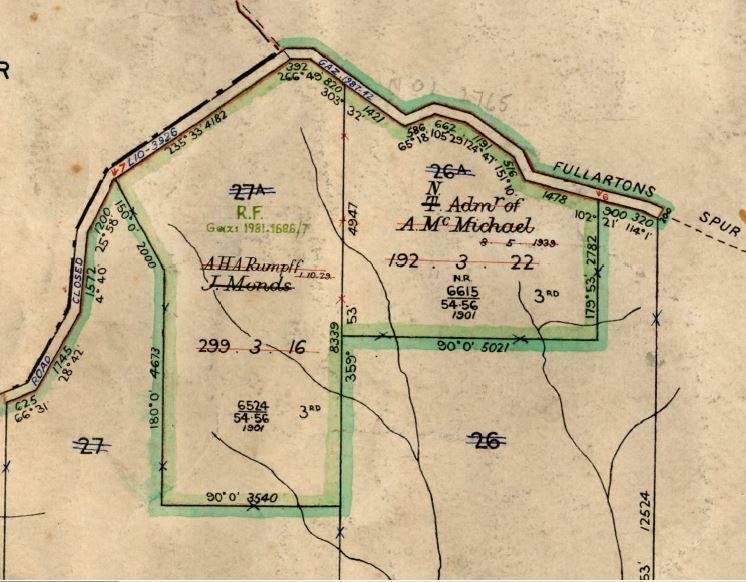 The Blocks went under selection from 1904 and the blocks were under selection until 1929 and 1939 (the dates just under the names), and were then freehold until 1981 when the (isolated blocks of freehold) were purchased back by the Crown. Hugs (logging/sawmilling family) had the freehold when it went back to the crown and on the right hand side of S1 Track there are 3 small hut/structures, these maybe from them. As far as I know the Colemans from Heyfield have the run in that area now and currently graze their cattle on the crown land and they could also be the builders of the cattle yards on the side of S1 track, a few hundred meters before the hut. 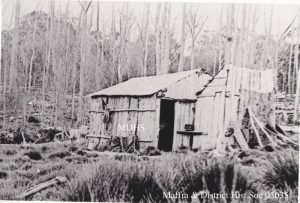 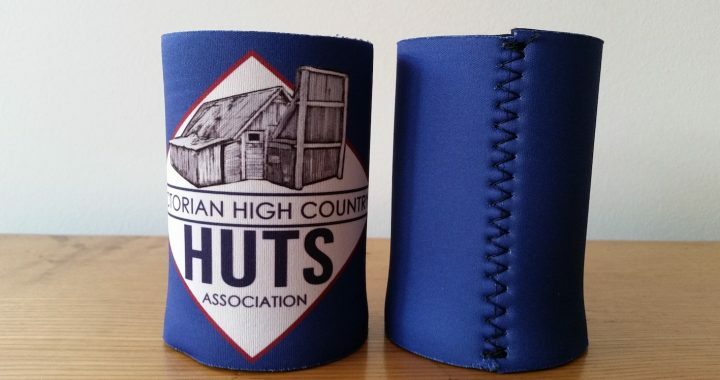 Posted in Huts of Victoria, Spring Hill Hut.